As another baseball season begins, the history of baseball's biggest scandal and how its legacy legacy still shapes the sport today. Remember When the Dodgers and Giants Moved West? This was one of the consequences. What this historian learned by reexamining Ruth’s life from a racial and gender perspective. He helped desegregate spring training. For over one hundred years, major league baseball’s World Series has both thrilled fans and reflected historical and societal changes in the United States. The Jewish baseball player who left the field to fight Hitler. He’s better off remaining an outsider. He’s more interesting that way. What the game really needs is a new connection with the nation itself. In reality the shrine to baseball’s gods was built on top of an elaborate creation myth. You Know Jackie Robinson, but Shouldn't We Remember Moses Fleetwood Walker, too? 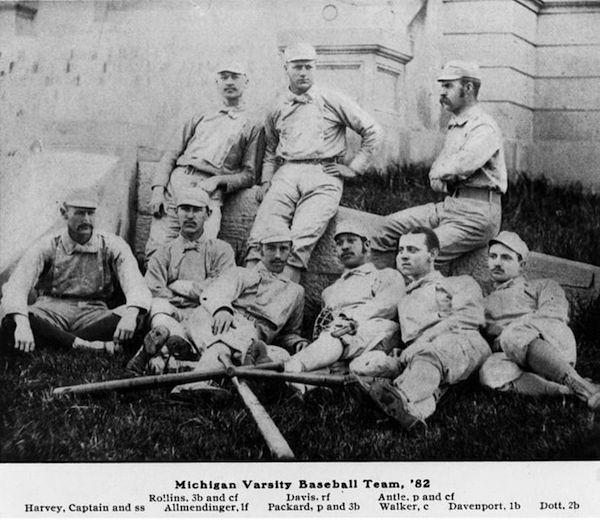 Moses Fleetwood Walker should not be regarded as a trivial footnote. In a history often preoccupied with the jostling of owners and promoters, it’s worth remembering the contribution of John Montgomery Ward. By combining the Civil War and baseball, Moore’s photograph merges two of the most important elements of the American historical experience, both of which, to this day, have deep emotional resonance. A new AA stadium will be located across the street from one of the central slave trading sites in the country. The St. Louis Browns (since 1953, the Baltimore Orioles) still have their fans in the old hometown. The courage and athletic ability demonstrated by Jackie Robinson in breaking Major League Baseball’s color line in 1947 and making the Brooklyn Dodgers a dominant National League club during the 1950s resulted in the ballplayer’s induction into the pantheon of baseball immortals at the Baseball Hall of Fame in Cooperstown, New York. Robinson’s career after he retired from the sport following the 1956 season is, however, less well known, but Robinson’s decision to take an active role in the civil rights movement provides ample proof that the courage displayed on the playing field carried over into the struggle for a democratic nation freed from the scourge of racial discrimination and segregation.